One of the greatest flat-race jockeys of all time, Fred Archer, ‘The Tinman’, was a legend in his time (1857 – 1886) and is one of our first sporting heroes. He won a remarkable 1 in 3 races during his 17 year racing life, a champion jockey for 13 years, winning 2748 races, with 21 classic wins, including the Derby 5 times, riding 246 winners in 1885 alone. He tragically shot himself when he was only 29. Unusually tall for a jockey at 5ft 10inches Archer was constantly trying to keep his riding weight down to 8 stone, which, combined with his irreconcilable loss of his young wife, was one of the reasons that led to his suicide while battling with a typhoid fever. Archer had a remarkable competitive nature and will to win, and whilst he rode for the elite, such as Prince of Wales (King Edward VII), Dukes of Westminster, Hamilton and Portland, Lord Falmouth and Lord Hastings, he was a people’s man and idolised wherever he went. It’s hard to understand just what effect his death had on the country. If one can remember the public reaction to Princess Diana’s death, Archer’s death had a similar impact. National mourning and tributes poured out in newspapers here in the UK and in America. Everyone was grieving over this much-loved and inspirational sporting-hero. 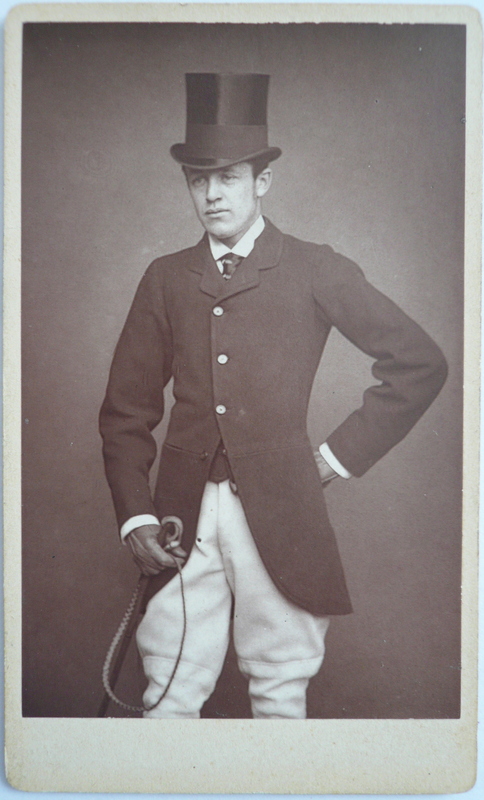 Fred Archer left a considerable fortune when he died, and there have been many ascertions as to the reasons for his suicide.